Stop what you’re doing and take a deep breath- you’re about to see the greatest international kit of the year. 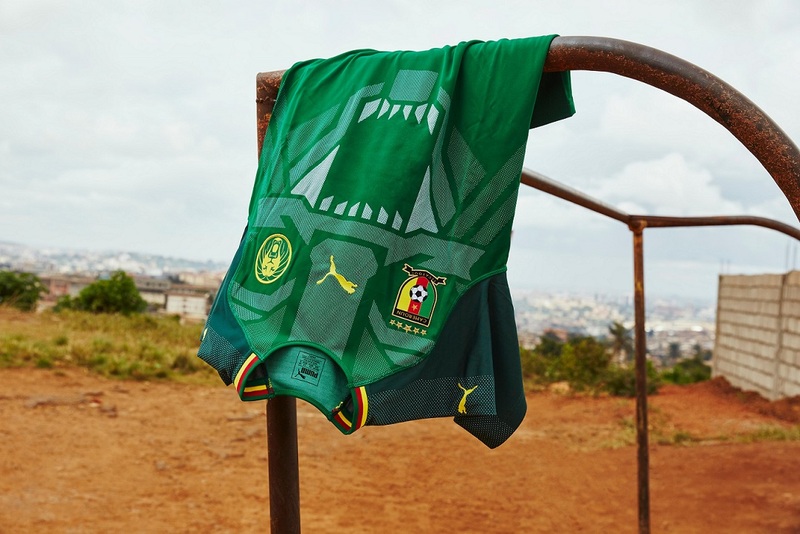 Celebrating a 20-year partnership filled with passionate football and dodgy dance moves, Puma have unleashed an absolutely stunning new Cameroon strip for next year. It’s pretty much impossible to think of Roger Milla without smiling just a little. The legendary forward was one of the first African players to really announce himself on the world stage, scoring a brace in the last-16 of the 1990 World Cup as Cameroon defied the odds and made their way to the quarter-finals. They knocked out Colombia that day, and were only just beaten by a strong England side in the next round- but, of course, nobody remembers that. Instead, we all remember those dodgy dance moves, as Roger Milla made his way over to the corner flag and started shaking his hips in a celebration that encapsulated the sheer vibrancy of that particular Cameroon side. In fact, there’s even a song all about it. Dressed in that iconic green and red strip; the passion, emotion and unbridled joy of Milla’s famous celebration captured the hearts and imaginations of football fans around the world, with most neutrals willing Cameroon on towards the trophy. Not to mention, for a 38-year-old man, Milla could certainly throw some serious shapes! So it seems only natural that Milla should play a key role in the announcing and unveiling of the brand-new Cameroon strip, despite the fact they won’t be wearing it on the stage that made Milla such a cult hero. The Indomitable Lions sadly didn’t qualify the 2018 World Cup, and we have to say that this beautiful football shirt is going to be sorely missed. Celebrating a 20-year partnership with Puma, the new kit was unveiled by Milla and the man behind the famous song we mentioned above- an up and coming Afro-trap artist called MHD. The “Roger Milla” song has racked up an incredible 40 million views since its release last year, with MHD encouraging viewers to replicate those iconic dance moves from almost 30 years ago. 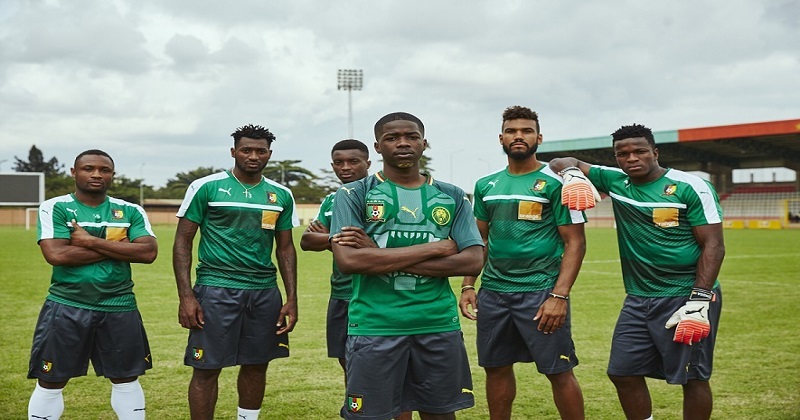 Both MHD and Milla met up with some of the Cameroon squad to show off the new kit- which is hands down one of the best international kits we’ve seen in a long time. Incorporating the famous shades of green, red and yellow, the new kit sticks to the Cameroonian traditions while combining it with some of the most innovative technology around. What results is an absolutely stunning design that uses a bold, striking rendition of the infamous lion crest right across the front of the shirt. The new design follows the design of the gorgeous Ivory Coast kit, with a darker shade of green on the sleeves and the Puma logo sitting prominently on the chest. But, obviously, it’s the outstanding lion crest that steals the show here- and rightly so. For a nation that’s so well known for its pride and ferocity, it’s fair to say that Cameroon shouldn’t have to fear anyone next year, with this shirt perfectly capturing the passion of the country as a whole, with the national colours running across the collar and, well, the entire kit. 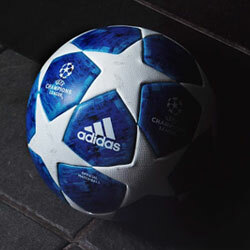 It’s just a shame we won’t be seeing it in Russia next summer. 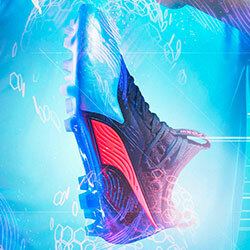 The integration of innovative cooling fins allows for better ventilation, which could prove the difference in a particularly hot African tie, while Puma’s famous dryCELL technology is also used to allow for better control of moisture. 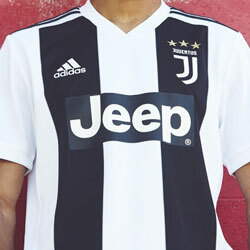 All in all, it’s a football kit that feels incredibly light and breezy on the wearer, with the lightweight construction allowing players to dominate the game even in the most extreme temperatures. With improved movement and comfort, we can only hope that this shirt pushes the Lions on to qualification for the next World Cup in Qatar, so that we might just get to enjoy some Milla-esque dances once more. 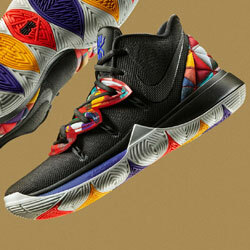 What do you think of the new Cameroon kit? Is it the best international kit released so far this year, or has another caught your eye? Let us know in the comments! 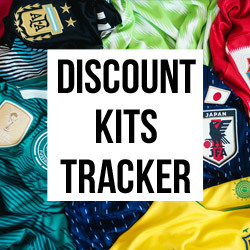 No matter which international football kits you’re after this Christmas, you can compare prices and find the best deals with FOOTY.COM right here today!